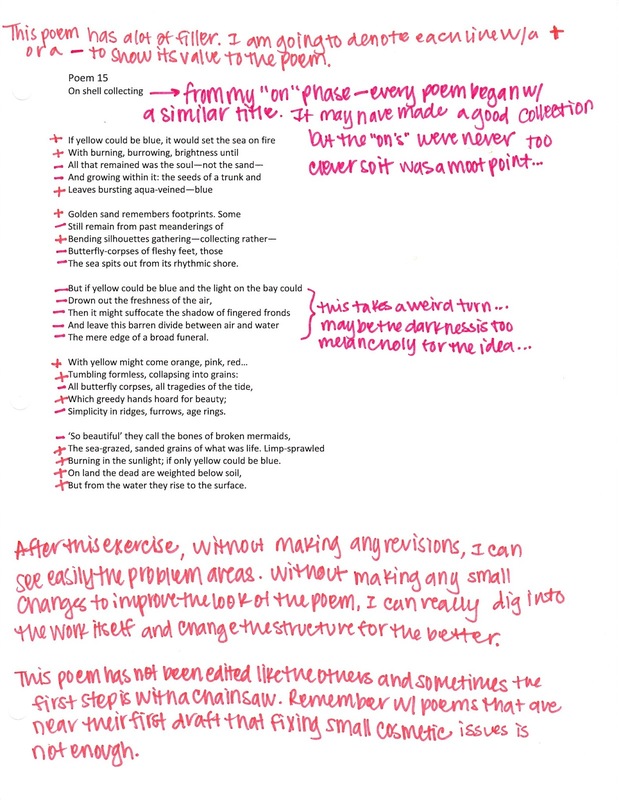 It’s a little vague… in this poem I’ve demonstrated how I begin editing. This poem hasn’t been looked at too much… in all honestly I was unsure where to go with the ideas. So, moving as far back as possible, I look at each line one by one, and without making any small edits… don’t be too wrapped up in what the words say and how they say them and if there’s a better word for soul or remained or bones than the ones present. First and foremost assess where the poem is strong and relevant and where the poem is weak and needs to be looked into. Resist the urge to tweak. It’s a tough urge to resist.